Can you believe stuffed crust pizza has only been a part of the mainstream cheese-loving world since 1995? In a particularly memorable episode of the hit TV show Seinfeld, Elaine remarks, "It'll be years before they find another place to hide more cheese on a pizza." Well, you can rest easy because the wait is finally over! 1. Preheat the oven to 350°F and prepare the pizza dough. Form the dough into a ball, place the dough in a bowl, cover the bowl with a dish towel, and let sit for 30 minutes. 2. 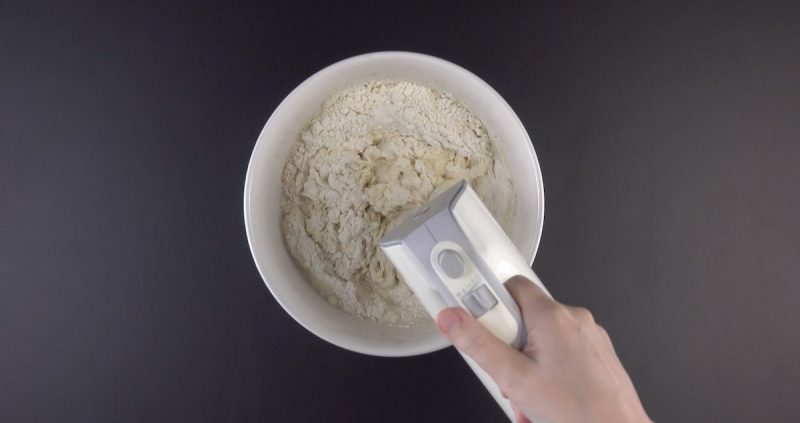 Flour your work surface and roll out the dough. Place a small, ovenproof bowl in the middle of a sheet pan lined with parchment paper and carefully place the dough over it. 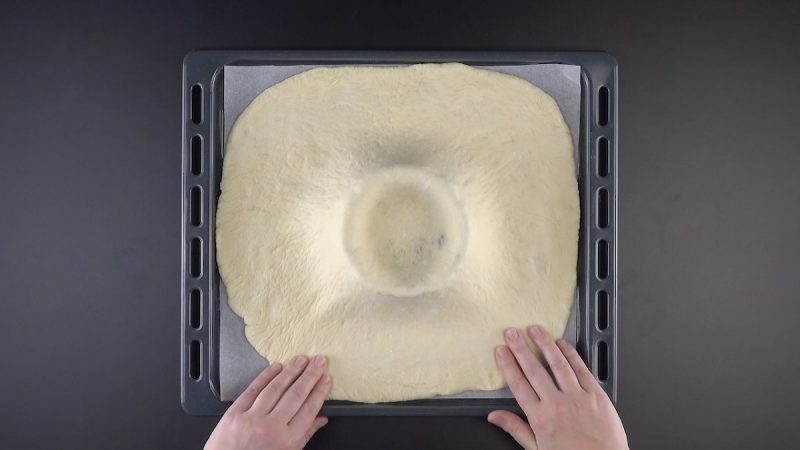 To keep the dough from stretching out, it's best to use a rolling pin as shown in the video. Smooth the dough out around the edges. 3. 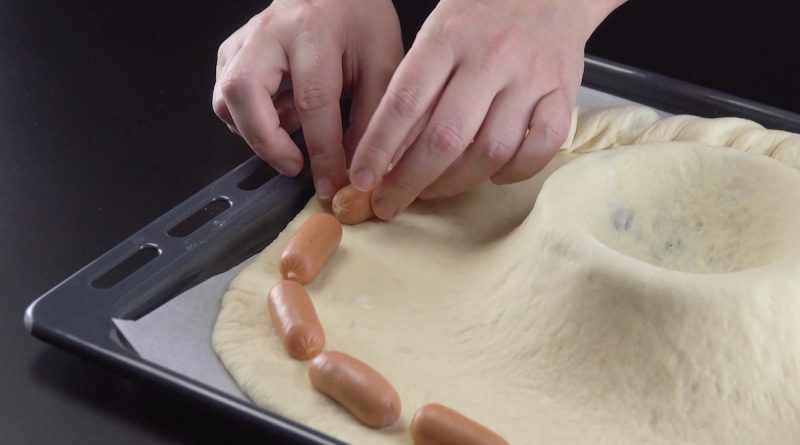 Arrange the cocktail weenies around the edge of the crust and carefully fold the dough over. Spread the tomato sauce around the pizza center and evenly distribute the shredded cheese and sliced onions, peppers, and tomatoes over the sauce. Finally, place the cheese wheel in the center of the pizza, pushing it slightly down into the bowl. Slide the pan into the oven and bake for 20 minutes. Is it a veggie-packed pizza? Is it the pizza equivalent of chips & dip? Is it a cheesy fondue? Is it a hearty bread bowl? All of the above! You can find the recipe for the Hot Dog Pizza featured in the bonus video here.